Cody Kennedy: THREE chances to win! #Elpida #Tharros #Omorphi & a HOPE charm! Don't miss them! THREE chances to win! #Elpida #Tharros #Omorphi & a HOPE charm! Don't miss them! 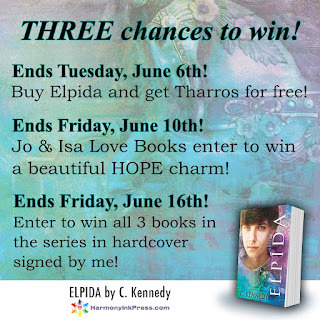 1) BUY ELPIDA & GET THARROS FOR FREE FROM HARMONY INK PRESS! 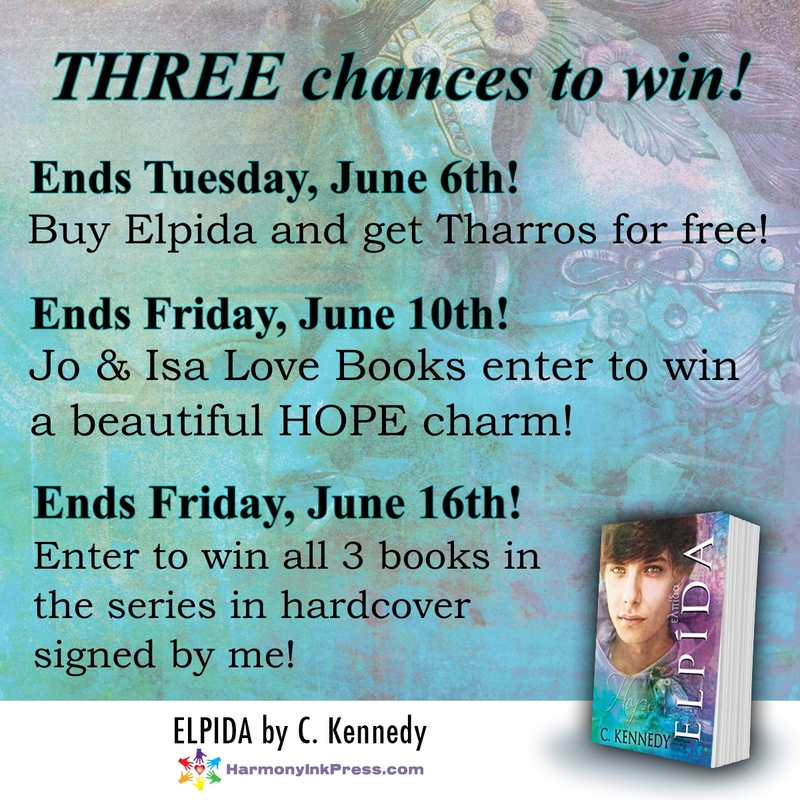 2) JO AND ISA LOVE BOOKS: ENTER TO WIN A HOPE CHARM! 3) ENTER TO WIN AT THE NOVEL APPROACH ALL 3 BOOKS IN THE SERIES IN HARDCOVER SIGNED BY ME! ENTER THE GOODREADS BUDDY READ AND DISCUSSION ABOUT ELPIDA! VOTE FOR Slaying Isidore's Dragons for Book of the Month IN THE GOODREADS YA LGBT GROUP! You must be a member of the group to vote!